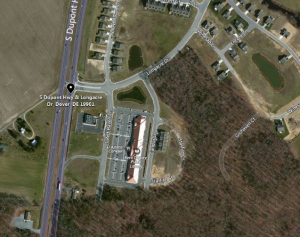 Dover– The Delaware State Police is releasing the names of the four other drivers involved in a fatal crash, involving five vehicles. The incident occurred at approximately 5:44 p.m., on Friday, September 8, 2018 when a 2018 Chevrolet Silverado was traveling southbound on South DuPont Highway (US 13) towards Walnut Shade Road. A 2009 Ford Flex was slowing in heavy traffic, which had backed up nearly half a mile from the Walnut Shade Road stop light. A 2012 UPS Truck was stopped/slowing in traffic directly in front of the Ford Flex. A 2008 Chevrolet Silverado was stopped/slowing in traffic directly in front of the UPS truck. A 2017 Buick Envision was stopped/slowing in traffic directly in front of the 2008 Chevrolet Silverado. All of the vehicles were traveling in the left lane of South DuPont Highway. Frederick J. Pierce, 29 of Magnolia, DE was the operator of the 2018 Chevrolet Silverado. Harry J. Lindale, 37 of Dover, DE was the operator of the UPS Truck. Scott Anderson, 39 of Federalsburg, MD was the operator of the 2008 Chevrolet Silverado. Martin F. Hogan 3rd, 76 of Milford, DE was the operator of the Buick Envision. This crash continues to remain under investigation by the Delaware State Police Collision Reconstruction Unit.